Click Virtual Media for Video. Meticulously Maintained & Constantly Improved Inside & Out! 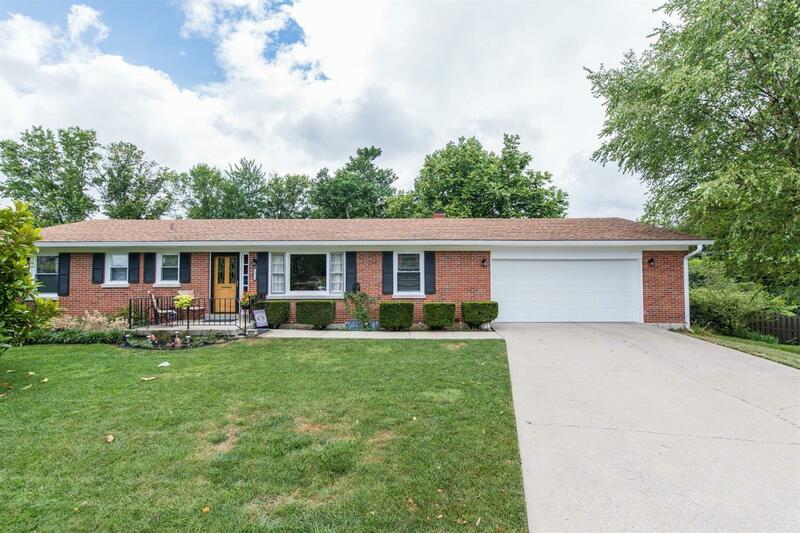 This Brick Ranch sits on a huge lot that has been continuously landscaped for 15 years to be prettier than any park. The array of Perennially Blooming Trees & Flowers is remarkable & includes a State Record Holding Large Leaf Magnolia in Back & a more traditional Magnolia in Front. The Sunroom with ceiling fan makes you feel like you're sitting in the Garden of Eden. The 24 X 24 Workshop/Detached Garage complements the 22 X 24 Attached Garage, so you'll always have plenty of space for all your vehicles & projects. There's also a Garden Shed for all your landscape equipment. The house has had incredible loving care too. It offers 4 Bedrooms, 2 Full Baths & a Laundry Room on the main level, plus a 5th Bedroom (no window) and 3rd Full Bath on the Lower Level. The 1st Floor has Rare & Gorgeous Narrow Width Hardwood Floors in Excellent Condition. Each level has a Fireplace. Updated & Super Clean!